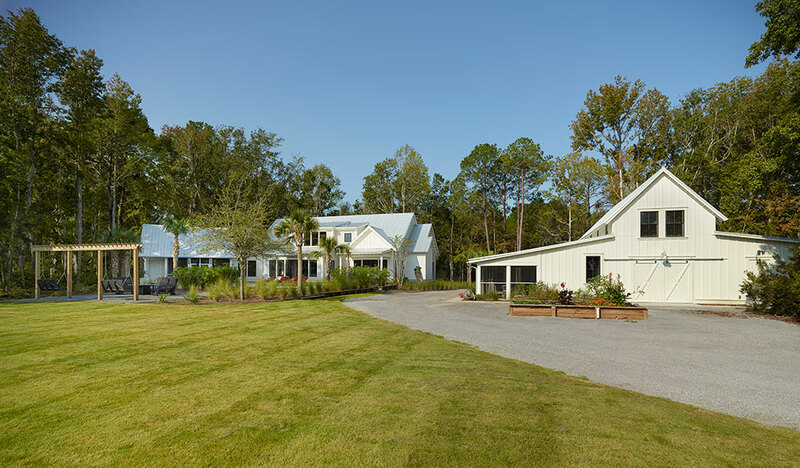 Located in an equestrian community, this Lowcountry cottage sits on a rural two acre property surrounded by pastures and riding trails. 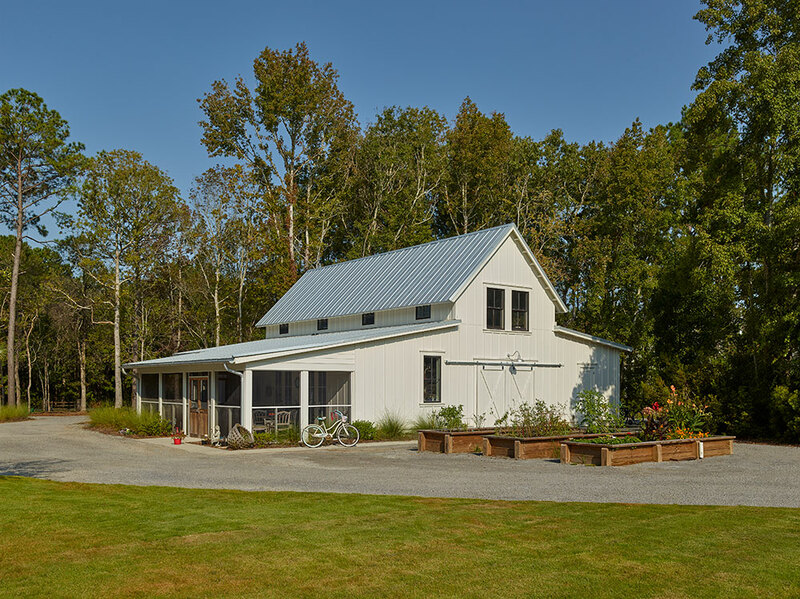 The casual style of the home, along with the barn structure, gravel drives and native landscaping fit well in the setting. 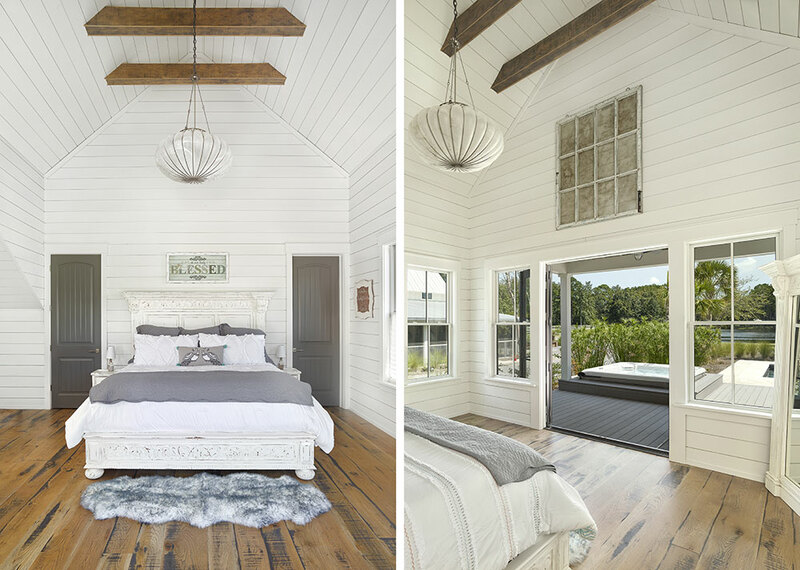 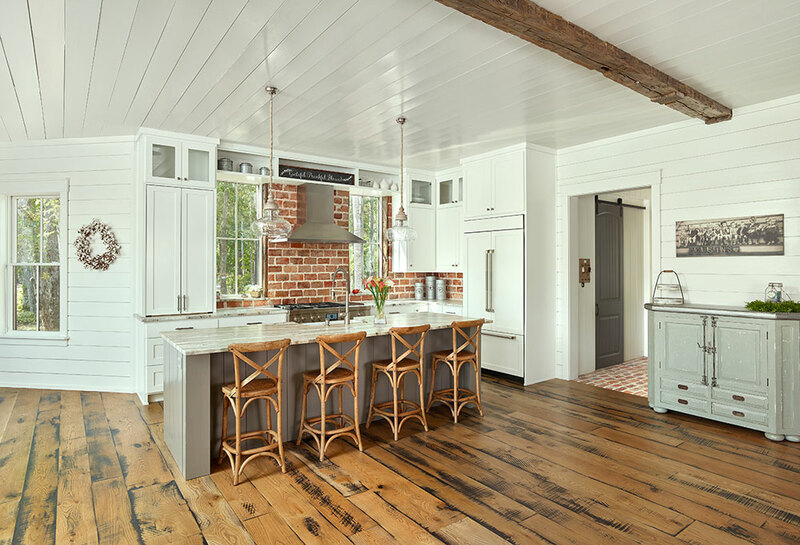 Inside, shiplap walls and ceilings, brick, and reclaimed wood floors and beams reinforce the farmhouse feel of the home. 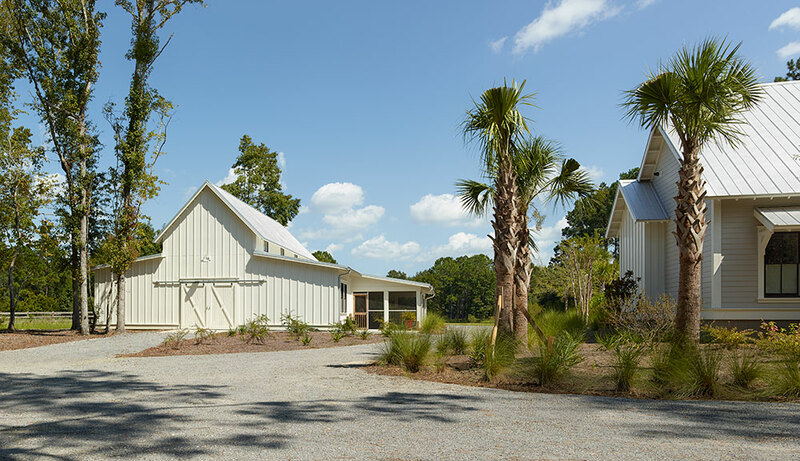 A screened outdoor living space flanks the pool and frames views to a pond and pastures beyond.